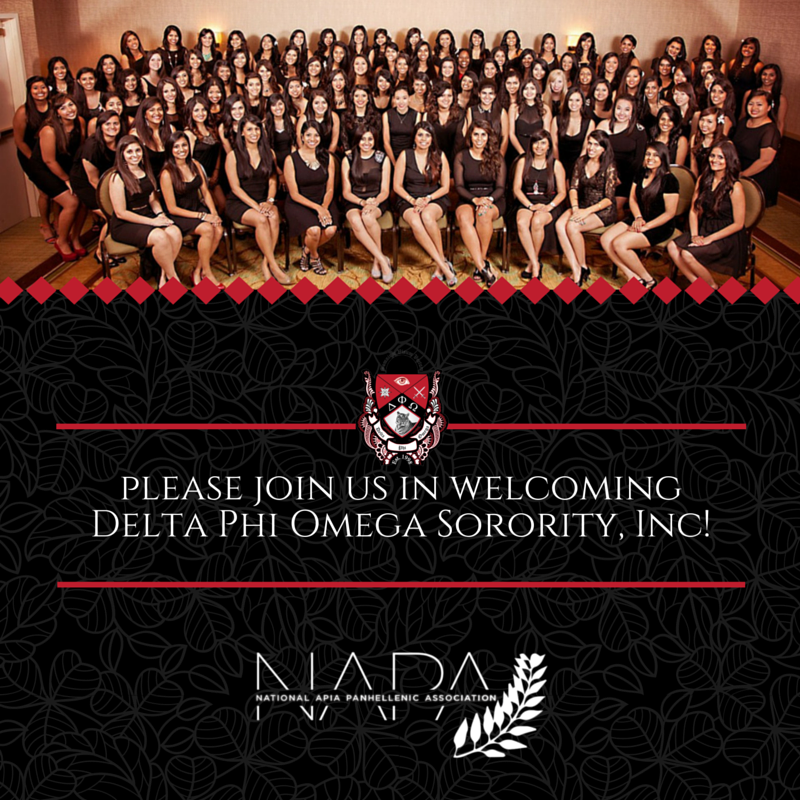 APRIL 22, 2016 — The National APIA Panhellenic Association (NAPA) is proud to welcome its newest member, Delta Phi Omega Sorority, Inc. With over 46 chapters and colonies nationwide, Delta Phi Omega joins NAPA as the Association’s 18th member organization. Delta Phi Omega, founded at the University of Houston in 1998, is the nation’s largest South Asian-interest sorority. With over 2,000 sisters nationwide, Delta Phi Omega has committed to advancing children’s education and literacy as its national philanthropy. Its annual Literacy Through Unity Week has raised over $75,000 for philanthropies dedicated to addressing illiteracy, including CARE India and Pratham’s Second Chance Program. Delta Phi Omega will be formally seated in NAPA on April 25th, 2016.